On a winter evening 250 years ago, a lone horseman rode through the cobbled streets of Copenhagen toward the Royal Palace. 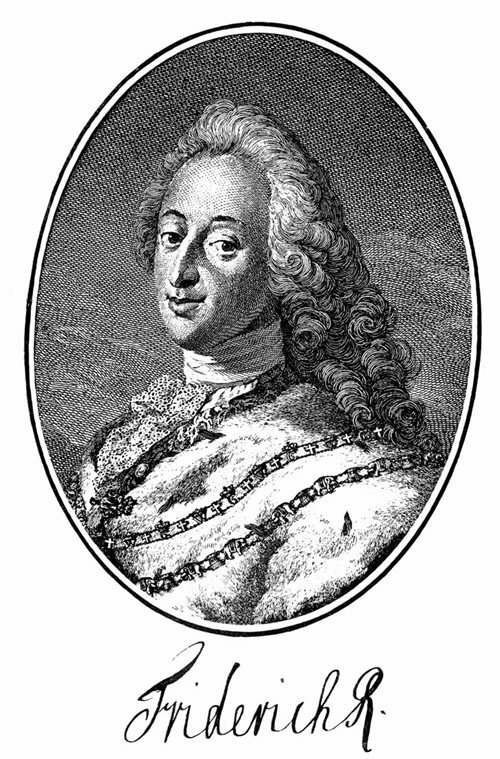 Sunburnt and gaunt, Carsten Niebuhr was the only survivor of the Royal Danish Expedition to Arabia that had departed the city seven years earlier in 1761. If it had not been for the king of Denmark, however, the expedition to Arabia might have never occurred. Like other learned Europeans of his time, King Frederick v was painfully aware of how little was actually known about the East: Other than the Bible and a few tales of European travelers, the Arabian Peninsula was still almost entirely a terra incognita. The king proposed to change that. Enthralled by the intellectual achievements of Prussia’s Frederick the Great, Frederick v eagerly responded to an expeditionary proposal put to him by Johann David Michaelis, distinguished theologian and orientialist of the University of Göttingen in central Germany. After receiving permission from Ottoman authorities in Constantinople to travel to Arabia, the six-man crew landed in Alexandria, above. After a year in Egypt, the crew traveled to Jiddah and south for nearly a year in Yemen, where the expedition's artist, George Wilhelm Baurenfeind, sketched a court scene, below. By late 1763, when Niebuhr reached Bombay (now Mumbai), bottom, four crew members had perished. Michaelis outlined five goals that won the king’s favor. First, the expedition was to explore the geography of Arabia; second, it would record the plants and animals en route; third, it was to describe the habits, customs and architecture of the people; fourth, it would seek to learn about diseases and remedies peculiar to the region; and finally, it was to collect as many antique books and manuscripts as possible. Selecting candidates for this project was no easy task. Michaelis eventually chose six men for the expedition. The linguistic expert was Friedrich Christian von Haven of Denmark; the biologist was Peter Forsskål of Sweden, a student of Carl Linnaeus, “the father of taxonomy”; the artist was George Wilhelm Baurenfeind, a German; the physician was Christian Carl Kramer of Denmark; Lars Berggren, also from Sweden, was the servant; as cartographer and—most importantly—treasurer, he named Carsten Niebuhr, a military surveyor who held the rank of lieutenant. For the first stage of their journey to Constantinople, the expedition was given the man-o’-war Greenland, which departed Copenhagen on January 4, 1761, with all aboard but von Haven, who was still in Europe and had arranged to embark in Marseilles. It took four attempts for the ship to break out of the harbor’s ice into the North Sea. To compound their early difficulties, the explorers had set off in the middle of the Seven Years’ War, and England’s Royal Navy waylaid the ship in the Mediterranean in search of contraband. While on board, Niebuhr was stricken by dysentery. Seven months later the expedition debarked on the northeastern Aegean island of Tenedos. From there, the members took a small Turkish boat to the mainland and on July 30 entered Constantinople. In the Ottoman capital they were greeted by turbans, veils and the shady balconies of the East. There they began their work, collecting specimens and purchasing books and manuscripts in the backstreets of the city. Most importantly, they received permission from the Ottoman authorities to continue their voyage toward Arabia. A few weeks later they sailed south for Alexandria. According to Niebuhr’s diary entries, the expedition spent a year in Egypt. After a brief stay on the Mediterranean coast they traveled inland to Cairo, where they found comfortable lodgings in the French Quarter. Niebuhr’s son Barthold Georg, a diplomat and historian who wrote an appendix to Michaelis’s memoirs, explained that although not having traveled “any higher up than Cairo,” the crew immediately set about collecting scientific evidence. Biologist Forsskål recorded some 120 species of plants. He also studied the caravans unloading their wares in the busy markets: cotton, silk, pearls, emeralds and diamonds came from Makkah; and dyes, ivory, parrots, ostrich feathers and slaves, he noted, came in from Sudan. 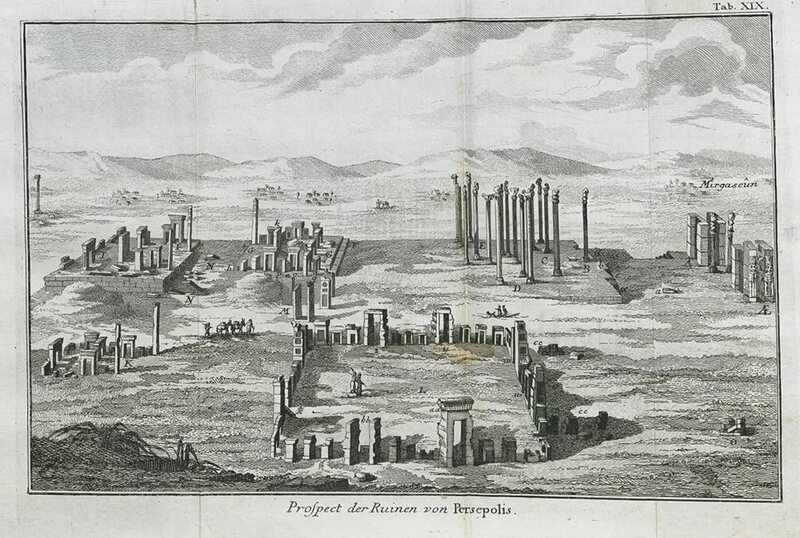 After Baurenfeind's death, Niebuhr himself took on the task of composing pictorial records along his route, which in 1765 took him to the ruins of Persepolis. Niebuhr mapped Cairo and explored its elaborate irrigation system. In addition, he studied clothing, customs, musical instruments and games, noting in his diary that “[i]f the Mahometans [sic] show any degree of passion for any one game, it is for chess, at which they spend, sometimes, whole days without interruption.” The Pyramids particularly fascinated Niebuhr. There, he not only used his surveyor’s octant to calculate the height of the Great Pyramid with great accuracy, he also recorded the hieroglyphs, particularly those glyphs that appeared repeatedly, hoping “[t]his fact may be of some use in helping to [understand] the meaning which they were intended to convey.” He also mapped dozens of villages along the Nile Delta. Proving his mettle as a resourceful individual with an appetite for hard work, the young German surveyor’s qualities would soon be put to harder tests. The following year the expedition made its way east to Suez, where its real desert journey began. Now attired in Arab clothing, and outfitted with tents, beds, pots, flour, rice biscuits, butter, coffee beans and their array of scientific instruments, the team arrived at the small town on August 31, 1762. While Forsskål remained in Suez with his companions to study Red Sea tides, marine life and boatbuilding techniques, von Haven journeyed south to the Sinai Peninsula’s mountains, in particular to Jebel el-Mokateb (“Mountain of Inscriptions”), to examine its epigraphy. The artist Baurenfeind was to accompany him, but he had fallen ill, so Niebuhr had to go in his place. I fought to gain the confidence and friendship of one of the guides.... From him I received honest and distinct answers. After traveling through the desert for five days, von Haven and Niebuhr reached Jebel el-Mokateb, known today as Serabit el-Khadim (“Heights of the Servant”), crowned with a small temple dedicated to the goddess Hathor. Long ago, Egyptians had smelted copper and mined turquoise there, but the primary task of the Danish expedition was to determine if there were any inscriptions in Hebrew that might link the mountain to Moses. But all they found were inscrutable hieroglyphs. Von Haven showed little interest and left Niebuhr to copy them. 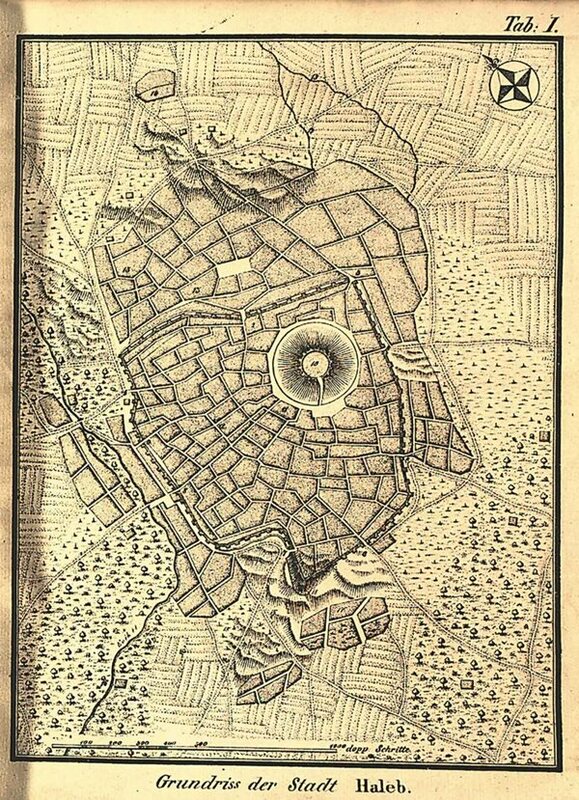 This view of Aleppo dates to the 18th century and corresponds roughly with the map of the city Niebuhr drew, which appears below, left. As the expedition's cartographer, Niebuhr spent much of the time during the voyage down the Red Sea meticulously surveying the coast with a compass, a magnifying glass, a thermometer and an octant. On September 25, 1762, they rejoined the rest of the group in Suez. It must have been a relief for Niebuhr. They sent home Forsskål’s specimens, Baurenfeind’s drawings and Niebuhr’s maps, and then purchased berths on a ship sailing down the Red Sea coast and across the mouth of the Gulf of Aqaba to Jiddah, a three-week journey. A few days into the voyage a curious event occurred: The expedition predicted an eclipse. Arabs who witnessed this, many of them pilgrims on their way to Makkah, were so impressed that they begged the scientists to also cure their chronic ailments, believing that the foreigners possessed magic powers. The expedition spent six weeks in Jiddah. Niebuhr mapped the town, and Forsskål set to work collecting seeds. But there was little to interest von Haven, who was exhibiting signs of a serious illness. On December 29, 1762, the crew disembarked at the Yemeni port of al- Luhayyah. The Danish explorers had finally reached the country that was, to them, a mystery, and which they hoped would be the highlight of their journey—Arabia Felix. Initial impressions were indeed felicitous: the governor generously offered to pay for their journey from Jiddah; Berggren cured the amir’s horse; and, while Niebuhr mapped the town, Forsskål collected hundreds of botanical specimens and recorded details of the country’s history, trade, currency and legal system. In the months that followed, the expedition traveled throughout western Yemen. 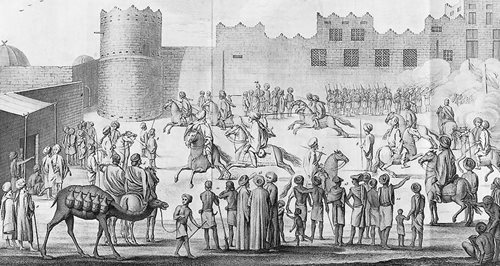 On February 25, 1763, they arrived in Bayt al-Faqih, four days from al-Luhayyah; there the expedition set up base, and each member carried out his own explorations. In the months that followed, Niebuhr trekked solo to the nearby coastal villages of Chalefca, al-Hudayah, Zabid and Kahme. In late March, Forrskål accompanied Niebuhr on a trip to Ta’iz, via Djobla. Upon their return, Niebuhr once again became feverish, and von Haven’s condition grew serious. The expedition together decided to move south along the coast to Mokha before heading inland toward the capital, Sana’a. It proved to be a challenging journey. The coast was hot and humid, and as the men moved deeper inland, they encountered scorching heat. Along the way, the monsoon arrived, and to escape the torrential rains they slept on the mud floors of coffee huts. Niebuhr's bird’s-eye view of Aleppo shows the walled city, with its citadel toward the eastern side, surrounded by residential, cultivated and grazing lands, as well as hills, rivers and roads. Now reduced to four—Niebuhr, Kramer, Baurenfeind and Berggren—the expedition continued to push deeper into the Yemeni interior. As they reached the mountains, they found relief from the heat, and when they at last rode into Sana’a on July 16, 1763, they were surprised to discover running water and shady streets—it was paradise. They secured a comfortable residence in one of the town’s picturesque buildings and were given a private audience with His Royal Highness the Imam, who sat on cushions beneath an arched roof, surrounded by fountains. He was astonished when the expedition displayed its scientific equipment, which included Niebuhr’s prized octant, a compass, a magnifying glass and a thermometer. Niebuhr wasted no time in mapping the town, and he carefully recorded details of its trade with Turkey, Persia and India. Their sojourn in Sana’a, however, was brief. A nagging fear of disease prompted them to depart back to Mokha, where they planned on sailing to the Danish mission in Bombay (now Mumbai)—their travels in Arabia at last complete. Unfortunately, their timing was poor. As summer temperatures soared above 40 degrees Celsius, the journey across Tihamah (a coastal area of the Red Sea so named for its heat), was a brutal one. By the time they boarded an English ship for India on August 21, 1763, the only man left who could stand was Niebuhr. Niebuhr's maps proved so accurate that a century later English explorer Gifford Palgrave dedicated his book to Niebuhr. Unfortunately, his companions only grew weaker. Barthold described how all were “attacked by fever of this climate”—malaria. Baurenfeind, the German artist, died eight days into the voyage. Berggren, the Swedish servant, passed away the next day. Both were buried at sea. In his diary, Niebuhr recalled the irony that Arabia Felix meant “Happy Arabia,” but not for his expedition. “Our diseases were our own fault,” Niebuhr reflected, and “[w]hile my companions yet lived, I was myself several times very ill because like them I chose to live in the European manner.” This prompted Niebuhr to make changes. Niebuhr arrived in Bombay with physician Kramer on September 11. Though still suffering from his own illness, Kramer had exhorted Niebuhr to adhere to what Barthold described as a “strict regimen of only bread, rice and tea,” abstaining from meat and other heavy foods. Niebuhr’s self-discipline and subsequent return to full strength astonished the doctor, who spent his last days in Bombay, before passing away soon after his arrival. Yet Niebuhr was not entirely alone. For the first time since leaving Cairo he found himself in the company of Europeans. Niebuhr took off his Arab attire and learned the English language. 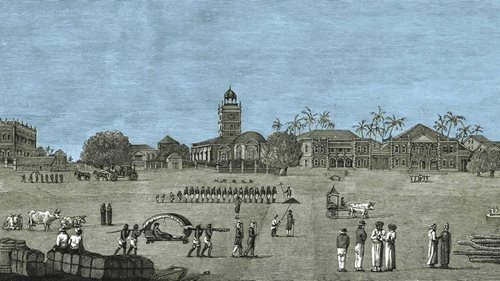 He befriended English officers, benefited from their hospitality and gained access to their “engraved charts of the Indian seas … roads and harbours, of the south-eastern coast of Arabia.” Characteristically, the surveyor also set to work mapping Bombay for the Danish crown and studying its history and trade. He commented in his diary on its alphabet, as well as the calendar, the caste system and the Parsees, demonstrating once again the breadth of his interests and the keenness of his observational skills. A year later, after witnessing the colorful festivities 250 kilometers north at Surat, including its enormous elephants, he left Bombay for Oman. He was accompanied by another Danish servant whom he had chanced upon in the city. 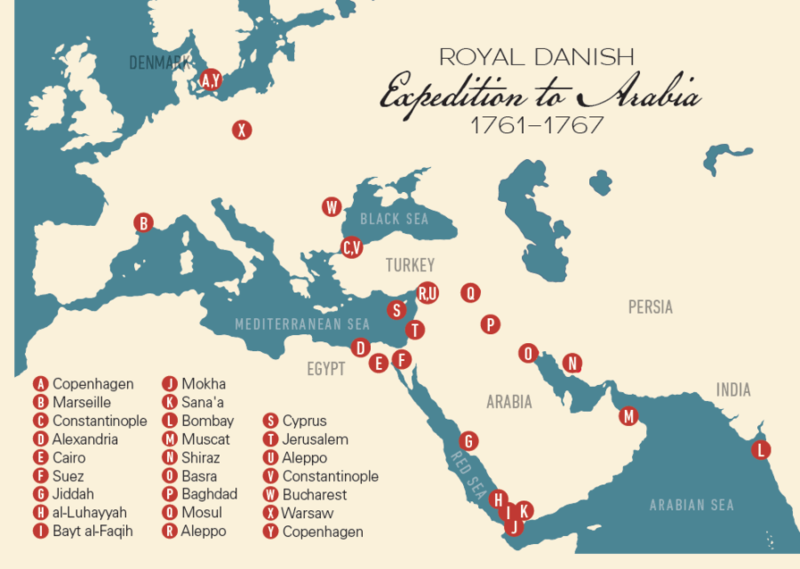 In 1772 Niebuhr published Bescreibung von Arabien (Descriptions of Arabia), which, with other publications, gave historical value to the Royal Danish Expedition to Arabia. Left: Scenes depict agricultural techniques for sowing fruits and grains such as lentils and barley. Center: A compilation of shoes, drawn up by Baurenfeind and included in Niebuhr's journal, exemplifies the kind of details of daily life the expedition reported. Right: Epigraphy of one of two sepulchral stones seen by the crew in the village of Chalefa in Yemen. Watching the porpoises darting across the azure waters of the Arabian Sea along the southeastern coast of the Arabian Peninsula, Niebuhr must have pondered the wisdom of continuing his journey alone, but his loyalty to the Danish crown and the completion of the expedition was never in jeopardy. 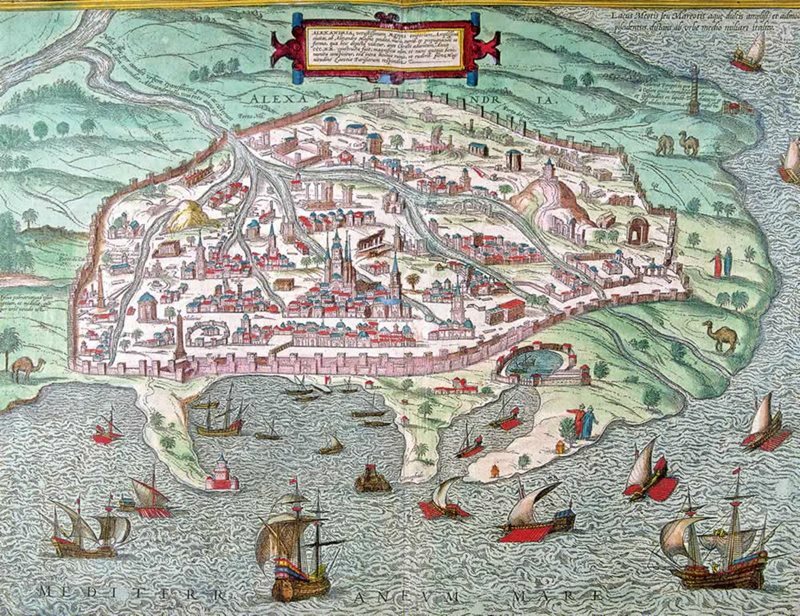 Feeling much better after experimenting with his diet of rice, water and fruit, Niebuhr eagerly mapped Muscat, Oman’s capital, and documented the pearling activities in Bahrain along the peninsula’s western coast, before disembarking in Persia on February 4, 1765. The ruins of Persepolis, Persia’s ancient summer capital, were in some ways the highlight of Niebuhr’s journey. Although alone, he felt both physically fit and safe. The cooler temperatures were a welcome relief, and his only complaint was that his European clothing was uncomfortable. He spent 24 days in the ruins of the Achaemenid city, mapping the site, sketching stone figures and copying its inscriptions. Some people there even asked him to write on paper, believing it would protect them from illness if they would press the words against their body. Ironically, copying the cuneiform tablets in the harsh sunlight damaged Niebuhr’s eyes, and he had to rest. But the inscriptions he sent back to Denmark were priceless. Within a few years European scholars had deciphered most of the Babylonian, Elamite and Old Persian scripts. A child of the early Enlightenment, his work proved to be an important catalyst. Stating that “the true observer is always a person who has lost his own identity,” Niebuhr for a time changed his name to Abdullah. Niebuhr sailed up the Tigris on a riverboat, stopping at Basra and staying in Baghdad before setting off for Aleppo via Mosul. He was particularly impressed with Baghdad, admiring its libraries, observatories and splendid quays. Farther upstream he approached the ruins of Nineveh, the ancient capital of the Assyrians, and he encountered the Yazidis, a religious sect that worshiped the Peacock Angel. Niebuhr diligently mapped the small towns and villages all along the river, and he continued to record vivid experiences in his diary. On June 6, 1766, after visiting the Crusader city of Urfa, Niebuhr rode—triumphantly—into Aleppo. He spent the next two weeks in Syria. After changing back into European attire, Niebuhr devoted most of his time to investigating the Druze. On June 24, 1766, he decided to leave for Antioch (now Antakya, Turkey), 100 kilometers west. He went via Cyprus, where he examined rock inscriptions Michaelis suspected to be of Phoenician origin but that proved to be Armenian. Niebuhr then sailed back to the Levant where he stopped briefly in Jerusalem to map the city and make a sketch from the Mount of Olives. After a short detour to Bethlehem, Niebuhr set off for Damascus. From there he traveled north along the coast via Sidon to Latakia before returning to Aleppo. Finally, on November 20, 1766, he began his long journey home. In Meldorf, Germany, where Niebuhr died in 1815 at age 82, a bust by Hamburg- based artist Manfred Sihle-Wissel commemorates the explorer and his legacy of knowledge. The ride across Anatolia proved a harrowing ordeal with heavy snow, which caused his camel to slip on the icy mountain roads. It took the caravan four months to reach Constantinople. After a few weeks of rest, he continued into Europe through plague-ridden Bucharest, and then he made his way across Central Europe through Warsaw, Breslau and Hanover. It was not until November 20, 1767, that he rode into Copenhagen. At first, his solo arrival on horseback was not cause for celebration: The city had almost completely forgotten about the expedition to Arabia. In the days that followed, however, Lieutenant Niebuhr was invited to the Royal Court and promoted to captain. Over the next few years he compiled an exhaustive account of the expedition’s work and then, to everybody’s surprise, Niebuhr married and took a post as clerk in Dithmarschen, a remote little district less than 60 kilometers from where he was born, along the shore of the North Sea at the mouth of the Elbe in today’s northern Germany. Nevertheless, his achievements were gradually recognized more widely. In 1801 the farm boy—who had never even mastered High German—was honored in Paris as a corresponding Fellow of the French Academy. Although he continued to enjoy good health, his “curious cold” never fully disappeared, and toward the end of his life Niebuhr’s eyesight began to fail. He died a few days before the Battle of Waterloo, aged 82, on April 26, 1815. On that day, the sole survivor of Europe’s first truly scientific expedition to the Arabian Peninsula, the man who had conducted himself with “an open-mindedness towards everything that was new, along with a respect for other ways of seeing,” took his well-deserved place in history. Paul G. Chamberlain, Ph.D., is a historical geographer who grew up in Kuwait, and he has traveled extensively throughout the Middle East, researching, writing and lecturing about the region. He teaches in the School of Continuing Studies at the University of Victoria in Canada, specializing in history, comparative religion, and current events in the Arab world.